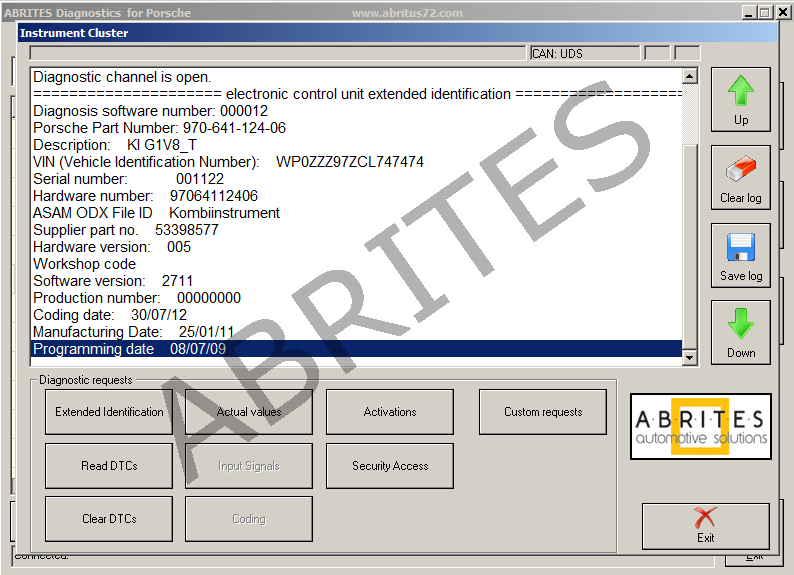 Automatic identification of vehicle model – Once the AVDI interface is connected to the vehicle it will automatically detect the model and/or year in order to assist the user in their work. 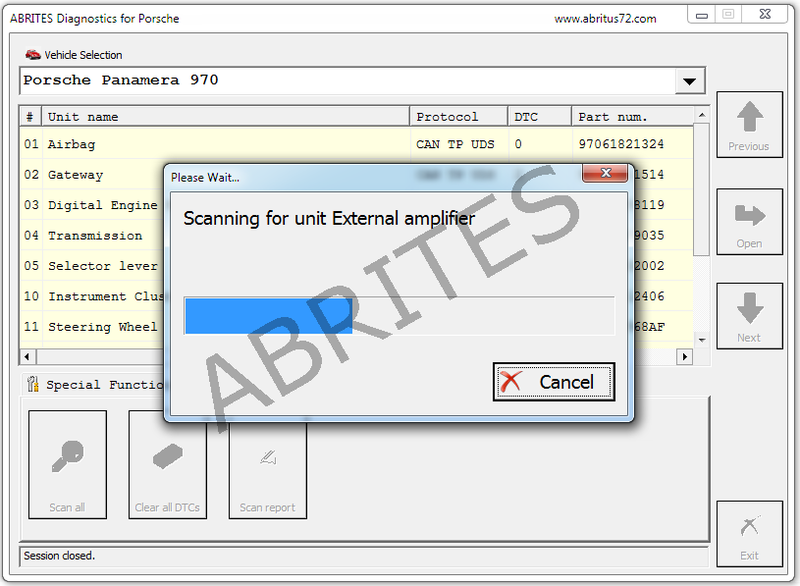 Scanning for installed components – As the vehicle is connected, the Abrites diagnostics for Porsche has the ability to send a diagnostic request to all possibly existing modules for the particular model thus determining the electronic control modules installed in this vehicle . 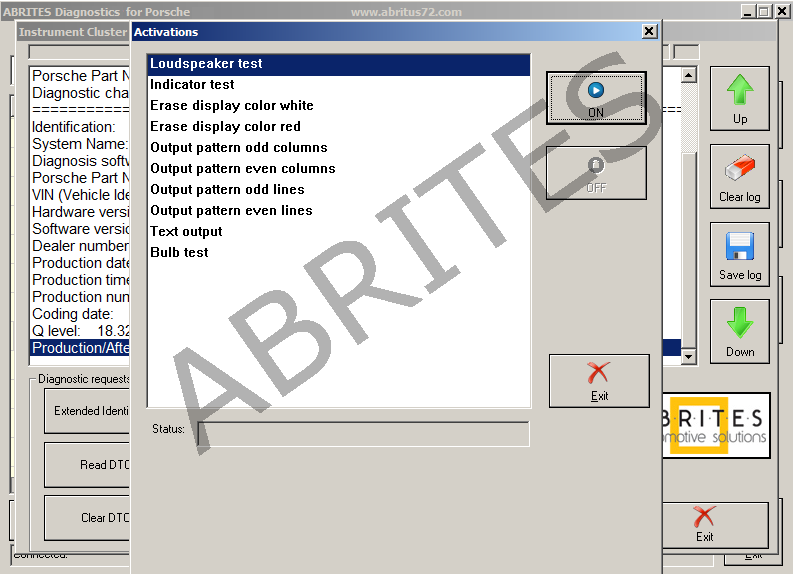 Reading and updating internal control module configuration memory by diagnostic. 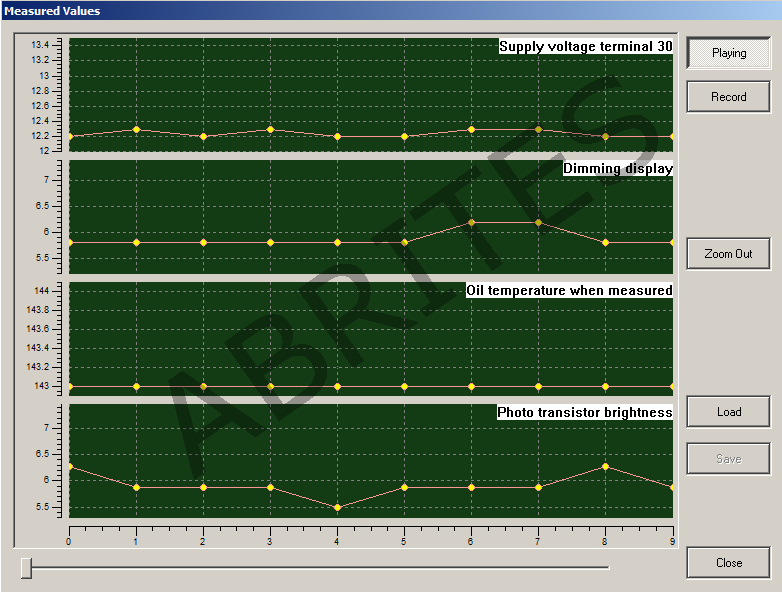 Recalibration of control unit working characteristics (time, mileage). 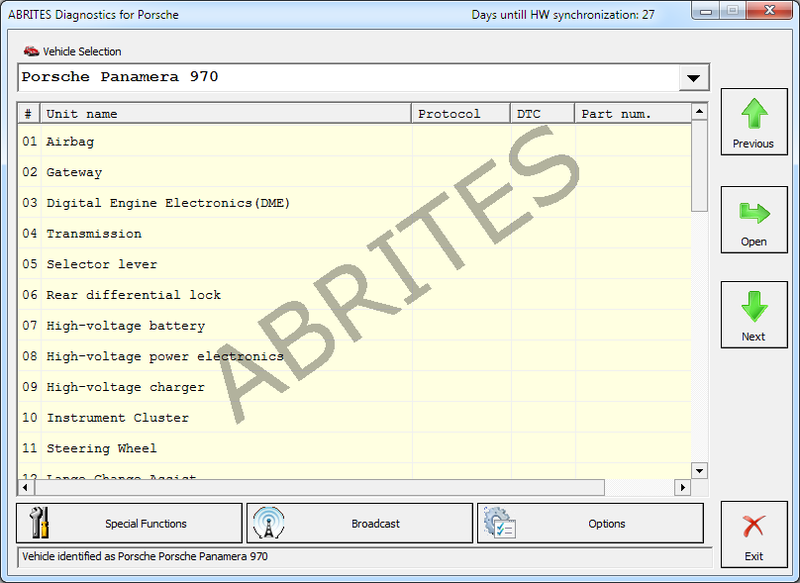 When faced with the challenge of preparing a key for a Porsche vehicle the Abrites Diagnostics for Porsche manages it in a simple and informative manner. 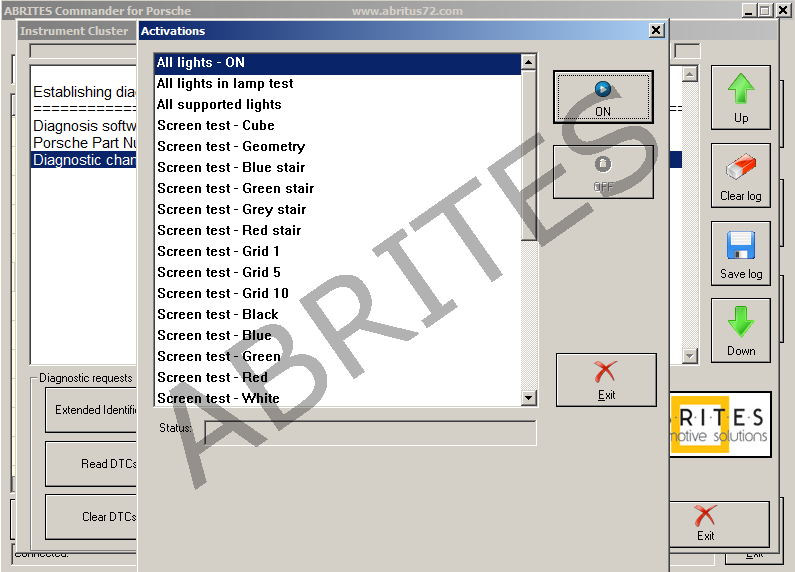 It lets the user choose the method (when available) and provides constant onscreen, step-by-step instructions in order to assure the final result is successful. The key learning option is often considered by our customers to be even more powerful than even the factory testers.